Find out who's nominated for a Global Poker Award. After announcing the event on March 8th, the Global Poker Index (GPI) has now announced the nominees for the inaugural Global Poker Awards. The event, sponsored by PokerStars and broadcasted on PokerGO, will see a total of twenty trophies awarded during the ceremony on April 5th. A nomination panel of over 130 members from around the globe has voted to determine this year’s official nominees in thirteen categories. A jury of industry representatives will select the winners. 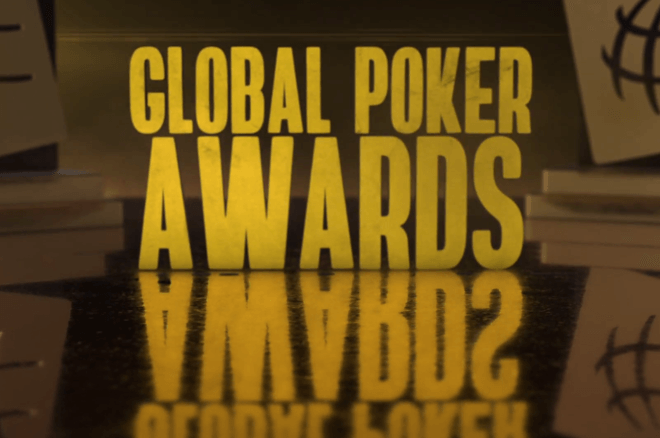 More information about the awards can be found on globalpokerawards.com. Justin Bonomo is nominated twice. His name is on the ballot for Tournament Performance of the Year for winning the Super High Roller Bowl IV for $5,000,000 and in the Moment of the Year category for completing the Super High Roller trifecta of SHRB China, SHRB IV, and the WSOP's One Drop event. Lex Veldhuis also finds his name on the list of nominees twice. He's nominated in the category Streamer of the Year for his popular Twitch stream, and in the category 'Broadcaster' for his work during the 2018 PCA and Triton Poker events. Poker media members Lance Bradley (in the Podcast category and Media Content) and Remko Rinkema (Podcast and Poker Journalist) are also nominated twice, and so is PokerNews' very own Sarah Herring, up for Podcast (PokerNews Podcast) and Poker Journalist of the Year. Two Global Poker Award winners are already announced as Alex Foxen (GPI Player of the Year) and Kristen Bicknell (GPI Female Player of the Year) locked in their trophies at year's end.